There is a reason why corporate social responsibility (CSR) feels empty sometimes. Could it be because it is most associated with the marketing, PR and corporate communication functions of business? It is understandable that the Marketing Manager will just do good works and not let the left hand know what the right hand has done. The problem is over time the Marketing Manager will tend to design CSR programmes with the sole focus of telling the left hand what the right hand is doing and as such the programmes over time will begin to sound hollow and lack heart. Again, even with all sincerity to design and roll out CSR initiatives is hard work. What need do you choose to tackle? Which community? Which external partners do you work with? The most important question of all if you are sincere is whether your intervention is going to be sustainable. You don’t want to create dependents, you want to change lives and then change some more. 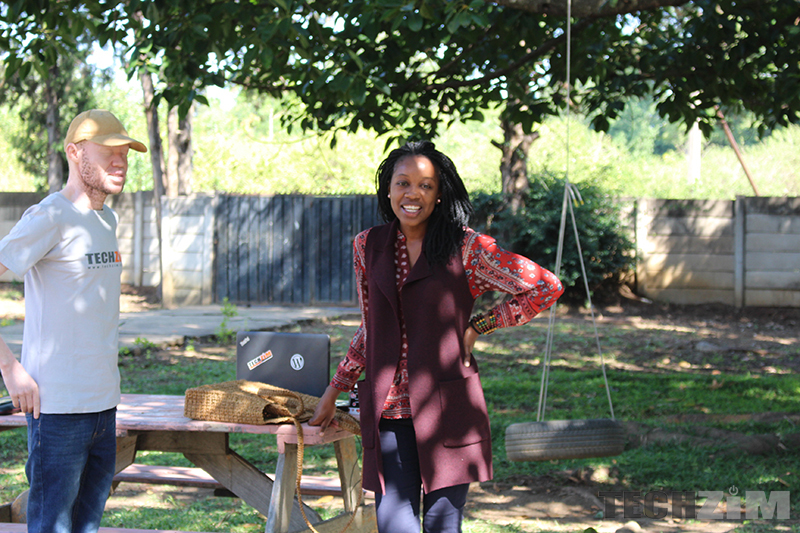 Idaishe Mandinyenya is a social entrepreneur with good experience working in CSR leadership for global businesses. She has worked in Australia, Cambodia, South Africa, the UK, the Philippines and of course Zimbabwe. In the Philippines she worked for a talent outsourcing company that decided to do CSR that mattered. Instead of looking all over for what to do they decided to run a programme called impact outsourcing where they allotted a percentage of outsourced jobs to vulnerable members of the community who would otherwise not be able to get a job. Idaishe was leading that initiative. 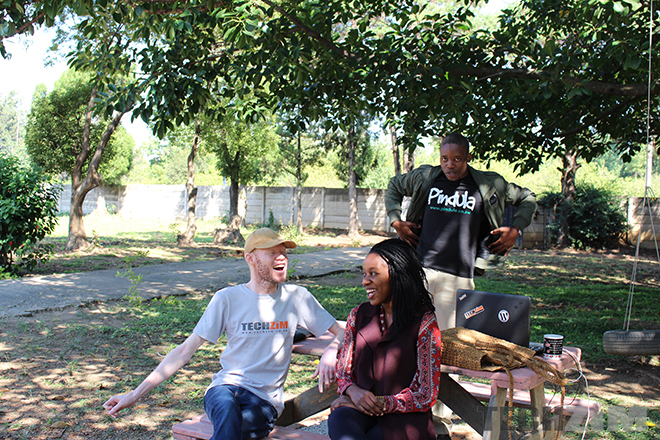 On returning to Zimbabwe Idaishe decided to go all in in this kind of work and she co-founded Skilled Staff, a social enterprise that is creating employment opportunities for Zimbabweans. What exactly does Skilled Staff do? Each year young people graduate from universities and tertiary institutions across Zimbabwe, with the hope that they will successfully land their first job. Nonetheless, creating the next generation of jobs has proven to be one of the country’s greatest challenges. Skilled Staff is is a social enterprise founded on the ideologies of Impact Sourcing, a socially responsible outsourcing that creates jobs for people who otherwise have limited prospects for formal employment. It gives businesses the opportunity to seamlessly delegate non-core and routine tasks such as, data processing, social media management, copywriting, online prospection and administrative support. Skilled Staff is currently delivering value to businesses in France. ● Opportunities to fulfil corporate social responsibility objectives. Impact sourcing has been successfully adopted in Africa (Egypt, Ghana, Kenya, Nigeria, Morocco, South Africa), India and The Philippines with a notable 235,000-245,000 FTEs. Globally, the business model has successfully created computer-based employment opportunities for people in low-income communities. Traditionally, companies have addressed socio-economic problems by making specific investments in maternal health, education or environmental conservation. Unfortunately, such investments benefit a small cluster of beneficiaries and fail to make fundamental socio-economic change in the targeted communities. Key decision makers in business are encouraged to identify socio-economic challenges in their local communities and partner with intermediaries that can close those gaps, while delivering value to all. Impact sourcing provides new opportunities for companies interested in using market-based forces to create a new ecosystem that delivers shared value and is self-sustaining. With a job and a stable income, workers are able to provide for the basic needs of their families, help support younger siblings through to school, build up a savings account and launch careers as young, dignified professionals. I asked Idaishe what her biggest wish was. Her answer was simple and clear, she wants to see more local companies participating in impact outsourcing. Currently most of her partner companies are in France and Skilled Staff is providing these businesses remote workers for digital non core tasks. Idaishe desires that more local companies do the same. I concur. Let those in Europe find us doing our part. Corporate social responsibility initiatives I see around are tackling one aspect of poverty or the other. At the core of this problem is unemployment and this is why Skilled Staff makes sense to me. Instead of dealing with symptoms you get to deal with more of the root. As your CSR budget is solving problems for the community it is also benefiting your company and you are getting some of your clerical routine and non core tasks taken care of. How many times do we see job adverts in the papers and they are asking for some work experience. Now with the high unemployment levels we have here there are plenty of young people with no demonstrable work experience. Partnering Skilled Staff will give you opportunity to help beef up the CV’s of these young people. Part of what Skilled Staff does is to up-skill the young people they work with in order for them to be able to perform the digital tasks they will be required to perform. This is hugely important in this age. The types skills needed are changing everyday. A business taking advantage of Skilled Staff trainees whilst giving them work experience and exposure is a win-win.